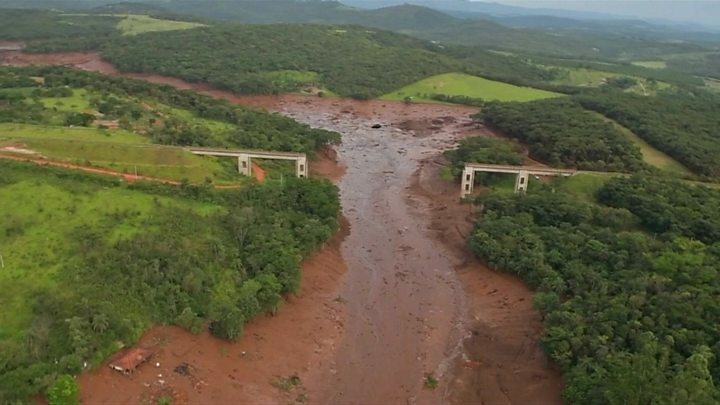 Rescue teams searching for some 300 people missing after a dam collapsed in Brazil on Friday say the chances of finding survivors are “very low”. No-one was rescued alive on Sunday near the south-eastern town of Brumadinho as the number of dead rose to 58. “We’ve got to have hope,” said a woman whose 35-year-old husband was missing. The cause of the dam burst remains unclear. Amid growing criticism, Vale, which owns the mining complex, said it had followed all safety procedures. Vale said 305 employees, contractors and residents were still missing. Some 192 people have been rescued alive. “After 48 hours of work, the chance of finding [someone]alive is very low,” Col Eduardo Angelo, who is leading the search operation, told relatives of the missing. The dam break caused a sea of muddy sludge to bury the site’s cafeteria where workers were eating lunch, before engulfing nearby houses, vehicles and roads. 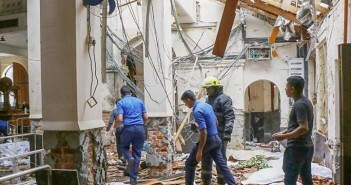 Access to the areas is difficult and search teams have used helicopters and earth-moving machinery. A second bus that was carrying employees has been found but rescuers have yet to reach a train that could have survivors or more bodies. “I still have hope,” Nélia Mary Fonseca told the BBC as she waited for details about her husband, Adriano, who worked as a contractor at the site. 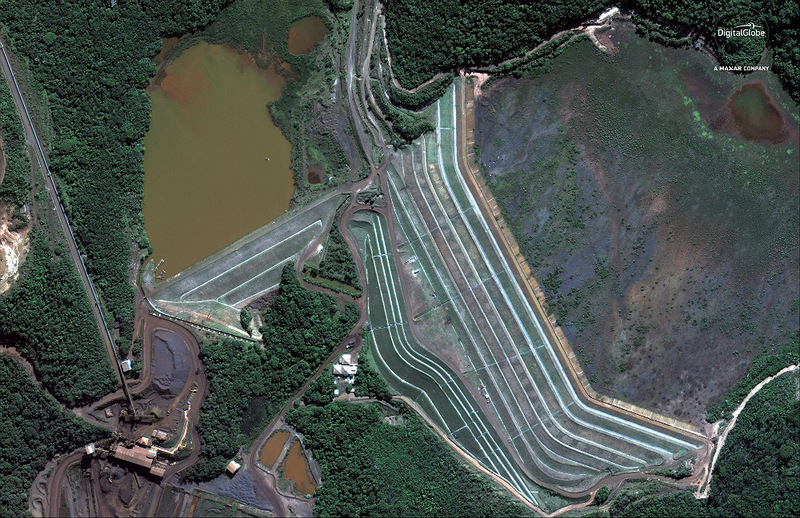 Mining is the main economic activity in Brumadinho and now the cause of this unprecedented tragedy that will mark generations to come. The Paraopeba river that cuts through the city has been tinted by iron ore residue and now smells of dead fish. On Sunday, the first funerals were held in the city. Having a body to bury may turn out to be a twisted privilege in this tragedy, with hundreds of people believed to be under the mud and huge challenges to find them. At the information centre set up to assist the families, volunteers sit behind desks with the lists of those missing, and relatives queue up to check for any updates – or to enter more names of people still unaccounted for. I met a woman who was searching for her husband and son. Another man expected news from his brother. A young woman looked from her young husband. The dam burst may have broken their families, too. State prosecutors said they had frozen a total of 11bn reais ($2.9bn; £2.2bn) of assets belonging to Vale, Brazil’s largest mining company. In a television interview, Vale president Fabio Schvartsman said the disaster had happened even after the company followed safety recommendations by international experts. “I’m not a mining technician. I followed the technicians’ advice and you see what happened. It didn’t work,” he said. 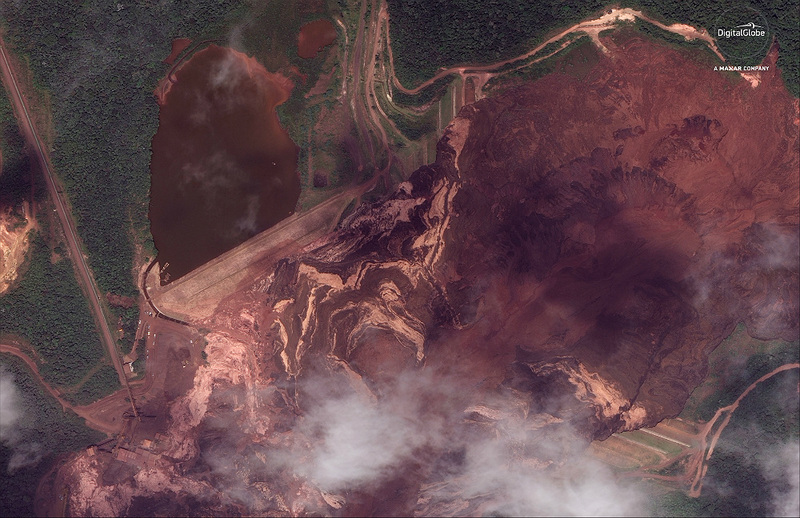 On 5 November 2015, a dam owned by Vale along with BHP Billiton, burst in Mariana, also in Minas Gerais, killing 19 people, in what was considered Brazil’s worst environmental disaster.